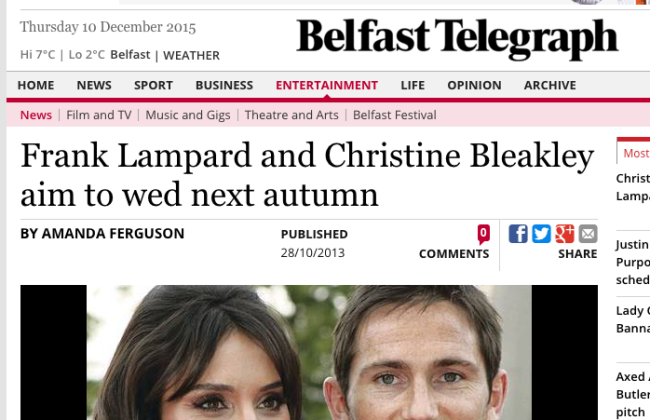 Former Chelsea footballer Frank Lampard is to marry “TV’s” Christine Bleakley. The Sun’s unnamed source says it will be a “star-studded bash” at London’s The Arts Club. A few months ago, the Mirror’s 3am Girls told us it wold be “small do”. 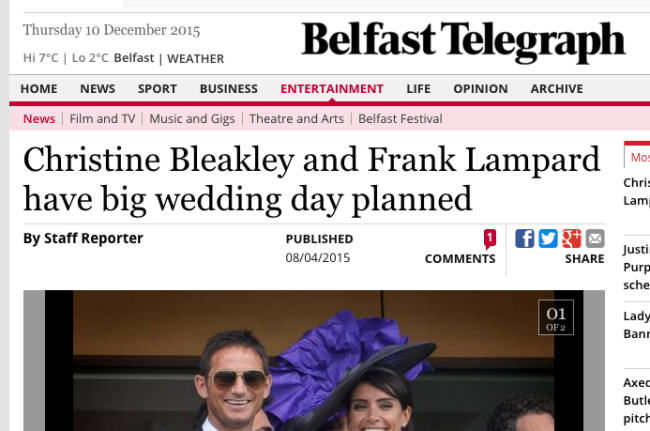 The Belfast Telegraph told us it would be a “big wedding”. The Telegraph also stated the pair would marry last year. Makes you wonder if those ‘insiders’ know anymore than the tabloid outsiders?